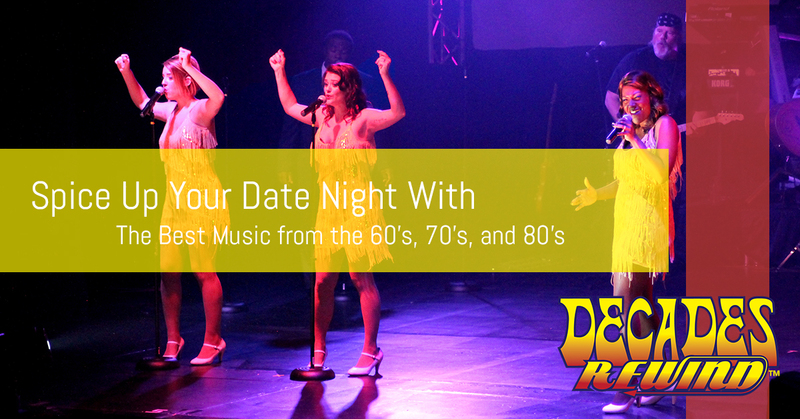 Spice Up Your Date Night With the Best Music of the 60s, 70s, and 80s! Whether you grew up in the heyday of the 60s rock and roll revolution or you were born later and deeply love the timeless tunes of the 1960s, Decades Rewind will make this era feel like it’s happening again. 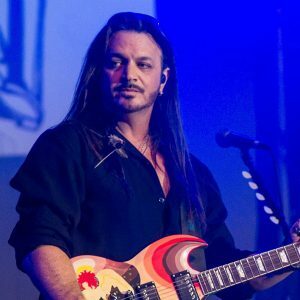 The Decades Rewind musicians play these songs with the same passion that they were originally performed with because they understand just how important these songs are. Decades Rewind performs songs from groups and musicians like Led Zeppelin, The Beatles, Creedence Clearwater Revival, Chubby Checker, the Beach Boys, Jimi Hendrix, Janis Joplin, The Doors, and tons more! The 70s were a time of great change and great variety in popular music. Rock changed and became both more majestic as recording budgets swelled to unbelievable levels and more brash and angry as punk rock and heavy metal rose from the depths of rock’s fringes. Pop rock got slicker and disco appeared almost out of nowhere. Funk and soul grew in popularity and set the stage for artists like Prince and Rick James. When you come see Decades Rewind, you’ll get a sampling of everything that made the 70s such an exciting time for music, including hits from the Kiki Dee Band, The Who, Parliament, The Gap Band, Stevie Wonder, ABBA, Queen, and many more! If the 60s were about birthing new styles of music and the 70s were about experimentation, the 80s are about combination. During the 1980s we saw many different styles of music crossing over with each other to form new styles and genres. Dance music could be funky, it could be cold, it could rock. Rock could be dancy, anthemic, or it could be lush. 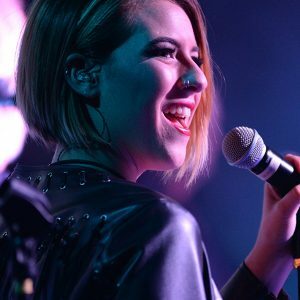 Decades Rewind brings a ton of these hits back to the stage including songs from Pat Benatar, Prince, Cyndi Lauper, Madonna, Queen, Foreigner, Huey Lewis & The News, and tons of your other favorite musicians. So if you’re ready to give your date night a shot in the arm with the best songs from music’s three greatest decades, come see Decades Rewind when they come through your town soon! Their nostalgia music show will reinvigorate your life in a way that very few things can.